Welcome to the Database Section. Here you will find our Imprint, Advertising opportunities for online and print and many more. This section will be updated with new opportunities like Links, Events, FIA regulations and many more. 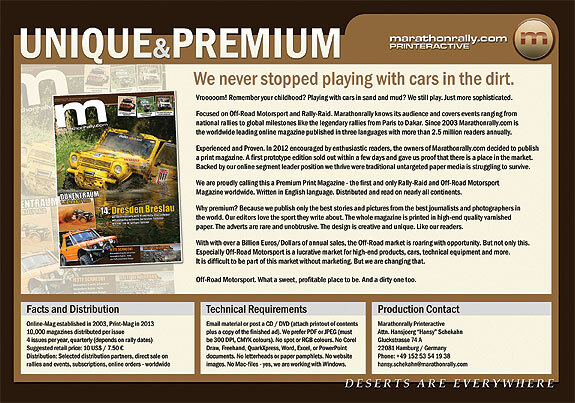 The Rally Raid Print Magazine: We never stopped playing with cars in the dirt. Vrooooom! Remember your childhood? Playing with cars in sand and mud? We still play. Just more sophisticated. Focused on Off-Road Motorsport and Rally-Raid. 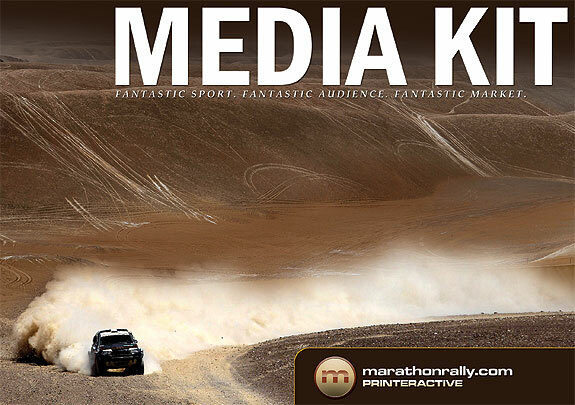 Marathonrally knows its audience and covers events ranging from national rallies to global milestones like the legendary rallies from Paris to Dakar. 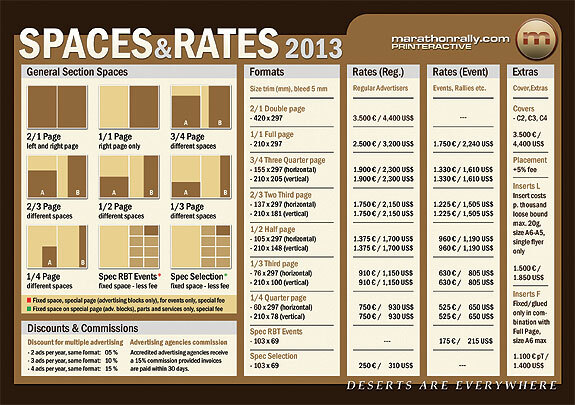 Since 2003 Marathonrally.com is the worldwide leading online magazine published in three languages with more than 2.5 million readers annually. Experienced and Proven. 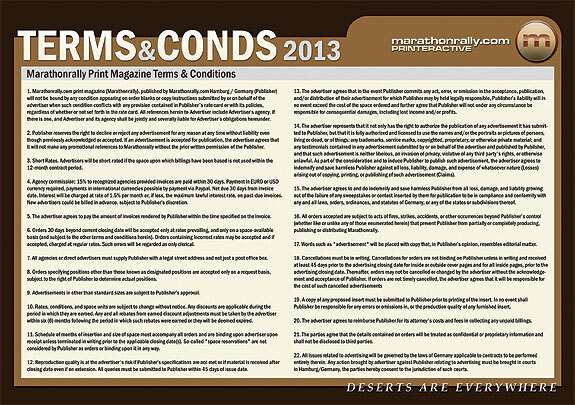 In 2012 encouraged by enthusiastic readers, the owners of Marathonrally.com decided to publish a print magazine. A first prototype edition sold out within a few days and gave us proof that there is a place in the market. Backed by our online segment leader position we thrive were traditional untargeted paper media is struggling to survive. We are proudly calling this a Premium Print Magazine - the first and only Rally-Raid and Off-Road Motorsport Magazine worldwide. Written in English language. Distributed and read on nearly all continents. Why premium? Because we publish only the best stories and pictures from the best journalists and photographers in the world. Our editors love the sport they write about. The whole magazine is printed in high-end quality varnished paper. The adverts are rare and unobtrusive. The design is creative and unique. Like our readers. With with over a Billion Euros/Dollars of annual sales, the Off-Road market is roaring with opportunity. But not only this.Especially Off-Road Motorsport is a lucrative market for high-end products, cars, technical equipment and more.It is difficult to be part of this market without marketing. But we are changing that. Off-Road Motorsport. What a sweet, profitable place to be. And a dirty one too.